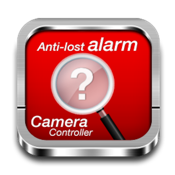 Remote camera is an app specially design to work with BlE key tag . It can help to do two things. First it can help you to protect your keys ,wallet, other things .Second it lets you wirelessly and remotely take a picture or a video clip with your iPhone . With the BLE key Tag in your hand and the app installed on your iPhone, you do not need to manually trigger the shutter. Note that you will need an iPhone 4s or an iPhone5 ,and a BLE key tag to use this app. In the App we use background mode to play the alarm voice.